Entrance to Rooted in Clay Studio, with wood-fired oven trailer on left. Rooted in Clay pottery studio is located in Rindge, NH. It is a bright, sunny, and spacious place to work. Shana regularly teaches classes there. Visitors are welcome to come by and watch Shana at work, and browse the finished pieces on display. Shana is there working most days, but please call ahead if you would like to plan a visit. 603-899-3120. 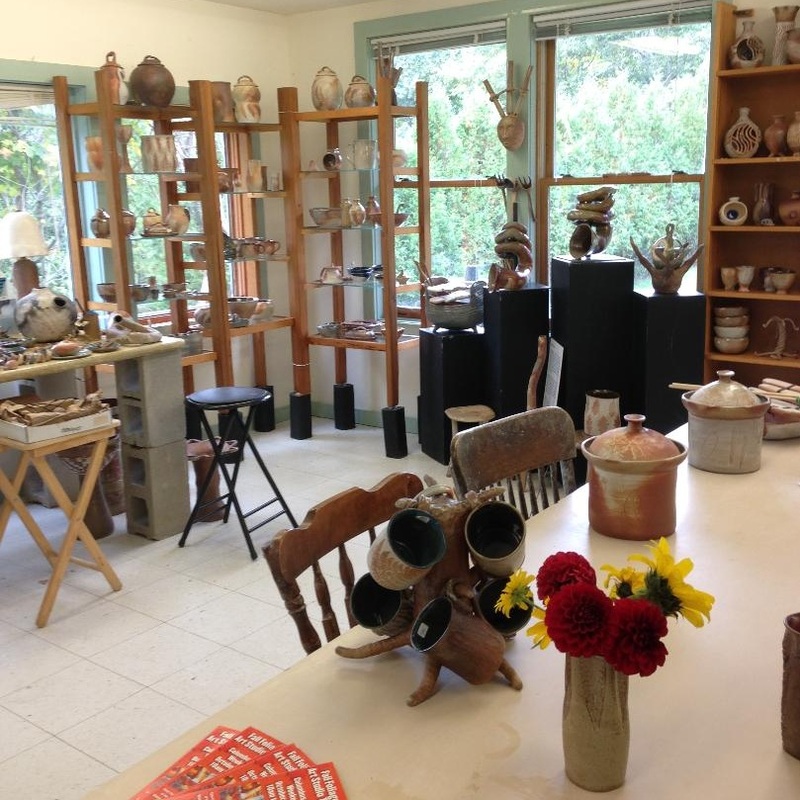 Rooted in Clay Pottery studio is a part of the Annual Fall Foliage Art Studio Tour on Columbus Day weekend. Retail corner of the studio, set up for the annual Fall Foliage Art Studio Tour, on Columbus Day weekend.